Digital data generated during election campaigns are a valuable – but underused – source of information for political parties, pollsters and political analysts alike. They contain signals of what political parties are doing, how they are being received, and what people are thinking and talking about. 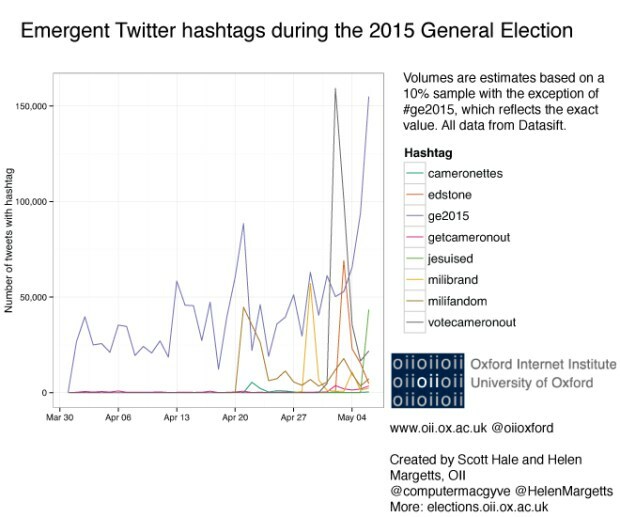 The OII’s Helen Margetts and Scott Hale discuss how use of digital tools and social media by the two largest parties both, in different ways, illustrate a disconnect between the tightly controlled party campaigns, and the electorate on social media. These differences could lend a clue to why the opinion polls throughout the UK’s GE2015 campaign got it so wrong, and provide signposts for parties seeking to rebuild their relatioship with their supporters after this surprising election. Note: This post was originally published on the Policy & Internet blog on 11 May 2015 4:16 pm . It might have been updated since then in its original location. The post gives the views of the author(s), and not necessarily the position of the Oxford Internet Institute.